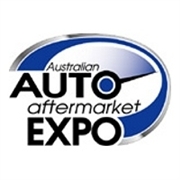 Australian Auto Aftermarket Expo is an important platform for more than 350 exhibitors - manufactures, professionals and companies related to automotive industry - to present automobile parts, accessories, equipment, new technologies and services. Attractions like the AAA Awards ceremony, competitions, performances of vintages and racing cars as well as an industry gala banquet will complete the programme. The AAA Expo will take place on 3 days from Thursday, 04. April to Saturday, 06. April 2019 in Melbourne.